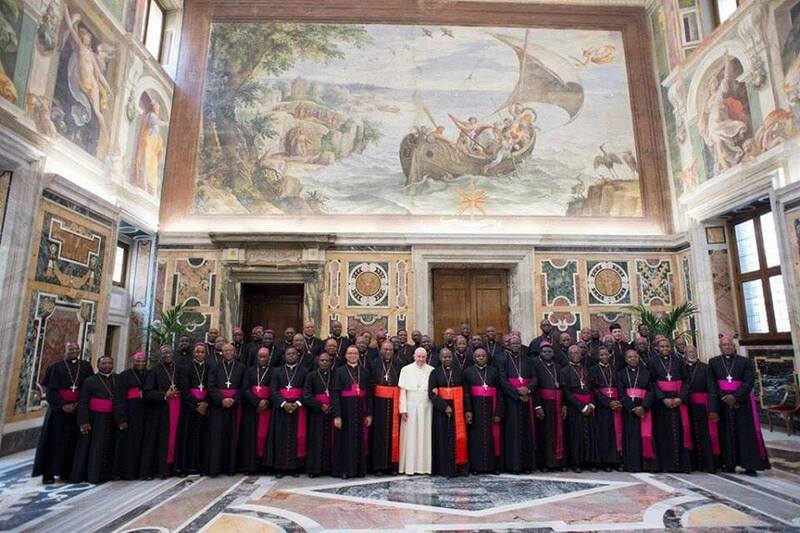 Below are pictures of Nigerian Catholic bishops during their recent meeting with Pope Francis in Rome. 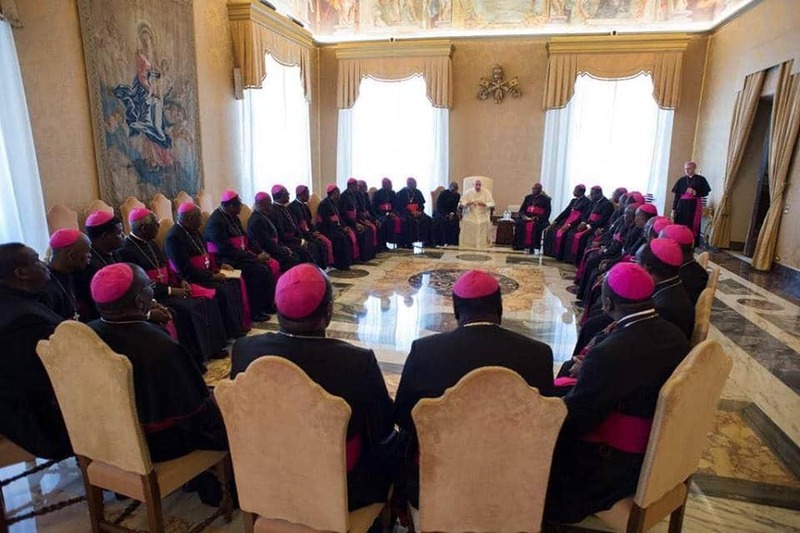 The clergymen met with Pope Francis yesterday during the plenary session of the Ad Limina of the Catholic Bishops Conference of Nigeria (CBCN) in the Vatican. 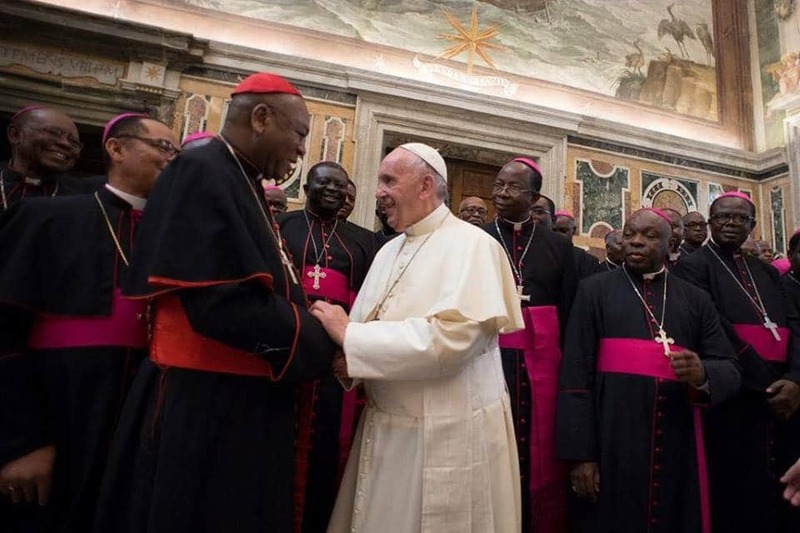 There are 65 Nigerian prelates in all at the meeting and among them are members of the Sacred College, Cardinal Anthony Olubunmi Okogie, Archbishop Emeritus of Lagos and Cardinal John Olorunfemi Onaiyekan, Archbishop of Abuja. 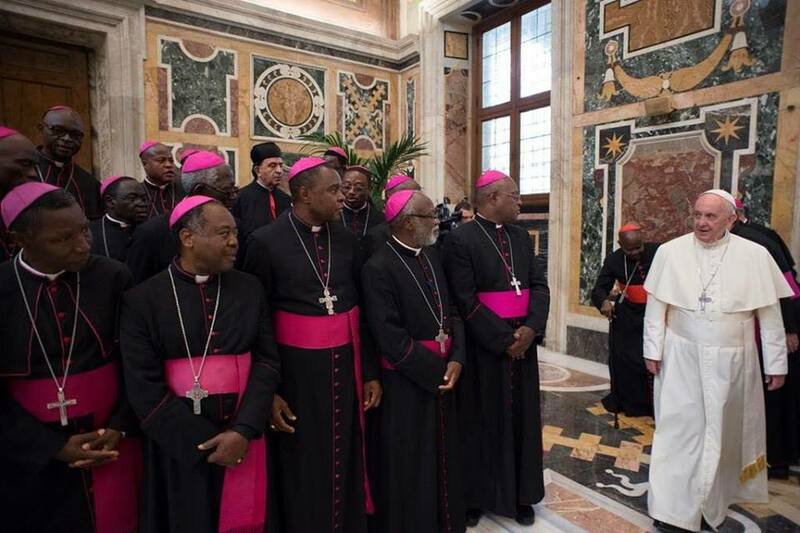 Reports have it that the Catholic Bishops Conference of Nigeria (CBCN) has called on President Muhammadu Buhari to resign over the incessant attacks in the country. The group made the call in a statement issued by Augustine Akubeze and Camillus Umoh, its president and secretary respectively. 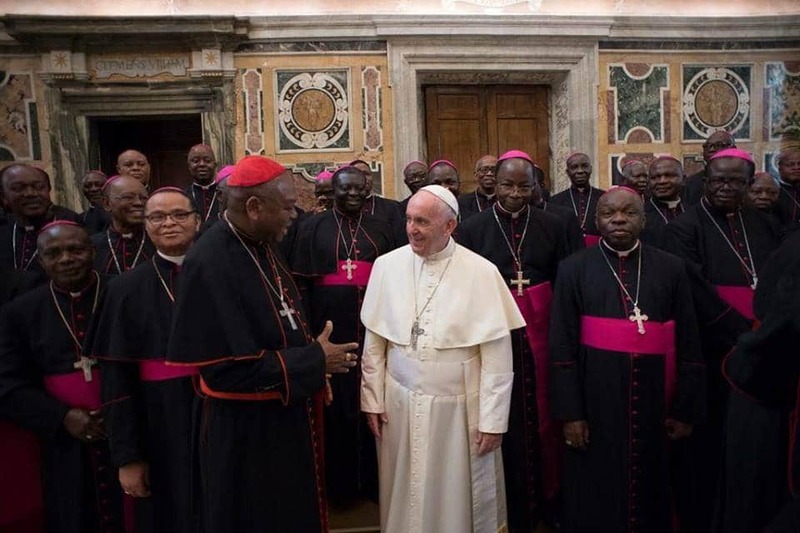 The clerics condemned the killing of two priests and 17 congregants by suspected herders in Benue on Tuesday . Their statement to Buhari comes just in times as the chairman of the Christian Association of Nigeria (CAN) in Northern Nigeria, Rev. Yakubu Pam, advised the Federal Government and the Northern Governor’s Forum (NGF) to halt killing of Christians in the North; before the situation degenerates into a civil war. Rev. 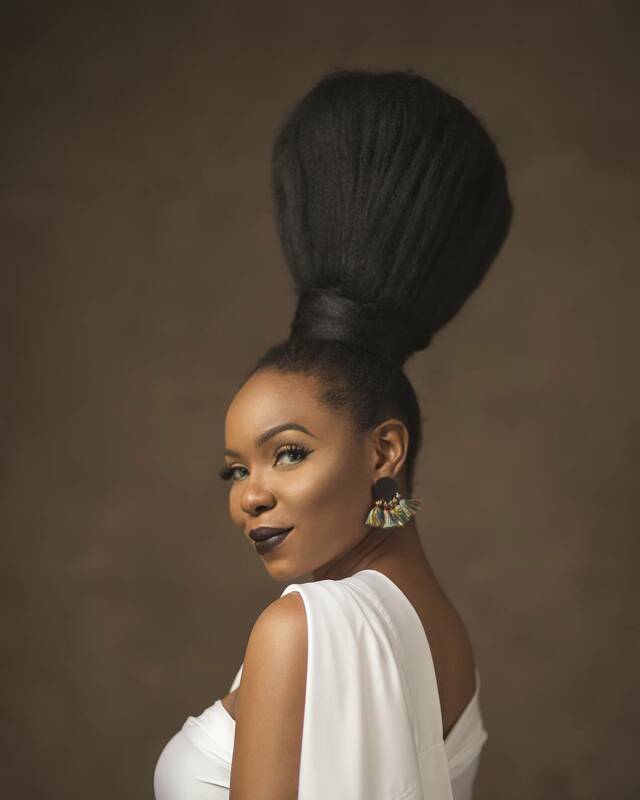 Pam said this, yesterday, in reaction to the murder of two Catholic bishops and 17 others, on Tuesday in Benue, and killing of 44 persons on Wednesday, also in Benue and Nasarawa states. Pam said the senseless and ongoing killing is avoidable. 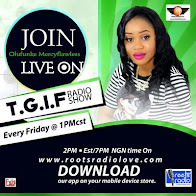 “My fear is that if the federal government and the NGF do not do something urgent, the killing of Christians in the North would degenerate one day into civil war. People are being killed on daily basis, yet, nobody has ever been arrested and nothing tangible has been done by the federal government.